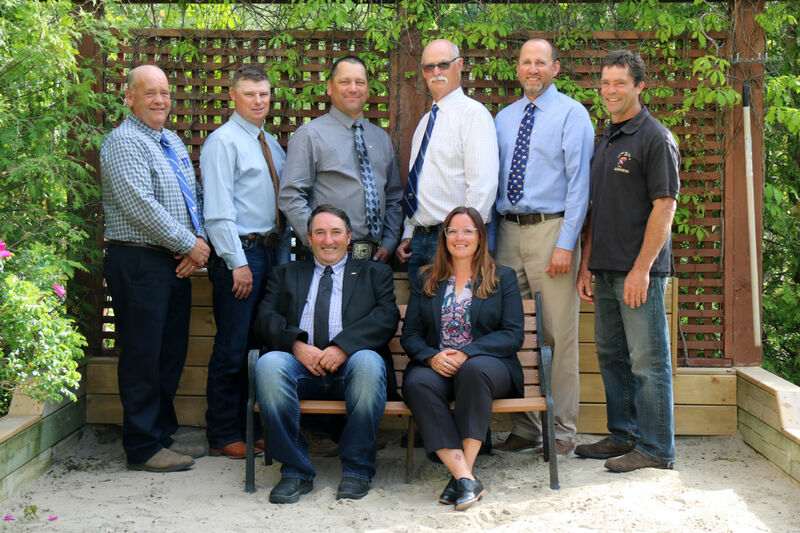 Charolais breeders from across Canada met in Collingwood, ON for the Canadian Charolais Association’s Annual General Meeting, held June 8 & 9, 2018. The Ontario Charolais Association organized herd tours showcasing some of the genetics and hospitality their local breeders have to offer. The first stop of the day took us to the picturesque Medonte Charolais before continuing to Echo Spring Charolais with a pasture stop and lunch served at the homeplace. Next, the group travelled to Shaus Land & Cattle Co. Ltd. west of Alliston for an indoor feedlot tour hosted by owners Ken and Wally Shaus and manager Paul Martin. The indoor feedlot was an interesting sight to see as the cattle are housed on slatted floor barns making the cattle’s sound structure of utmost importance. The cattle are housed in prime conditions generating a high-quality product. Their on-site corn mill is currently supporting approximately 20,000 head with an annual output servicing 100,000 head. The tour wrapped up for the day at Sunrise Charolais outside Stayner, ON where cow-calf pairs and heifers were on display for visitors to admire before a delicious roast beef dinner. Charolais members, associates and guests met for the AGM on the afternoon of June 9 at the Georgian Bay Hotel & Conference Centre and received an overview of the state of the Association. CCA again, showed growth through 2017 with 24,000+ females enrolled, breaking a ten-year record. Memberships were steady with over 730 members. Financially, the Association continues to remain on solid footing. CCA realized a profit in 2017 due to increases in current female enrollments and gains on our investments. CCA is pleased to announce that the first official EPD evaluation that includes Genomics will be completed in July 2018. Doug Blair of Langmont Management Inc. presented an update to the ongoing process of genomics. The addition of genomics improves the accuracy of EPDs and allows for much improved genetic evaluations in young animals. Angus Genetics Inc. (AGI), our service provider will apply the single step procedure developed by the University of Georgia and incorporate DNA into our EPDs. Single Step method has been adopted by American and Canadian Angus, American International Charolais Association and now the Canadian Charolais Association. Pedigree and genomic data, performance and progeny data will now all be included in the development of our EPDs. Research has proven that the Single Step Method of applying Genomics to EPDs is a valuable tool for speed and improvement of genetic evaluation and will provide Charolais breeders and their customers with the most accurate genetic evaluation possible. The CCA congratulates Darwin Rosso of Moose Jaw, SK on being re-elected President and welcomes new board member Roger Maloney of Indian River, ON. The CCA would like to extend its gratitude to Brent Saunders, a retiring Past President and long-standing director; Brent’s progressive ideas, time, effort and quiet demeanour will be missed, and we wish you all the best. As well, the Canadian Charolais Association extends its congratulations to Brian and Doris Aitken of Bridor Charolais, Mount Forest, ON as 2018 Honor Roll recipients. Brian and Doris work tirelessly through their efforts and involvement with 4-H and the community contributing to excellence in not only Charolais but also the entire agriculture industry. View the complete 2017 Annual Report at www.charolais.com or request a printed copy from the CCA office.